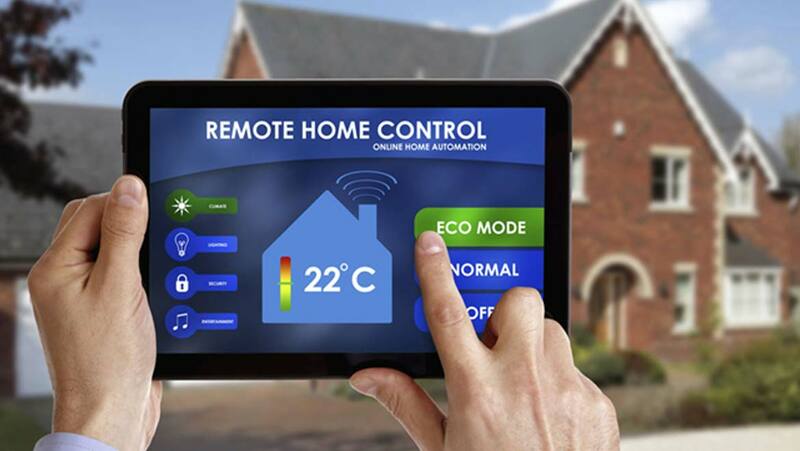 A smart home contains amongst other things, a high definition television, DVD player, mobile phone, washing machine, home security, home theater, entertainment, thermostat regulation and every other electrical machine you can imagine. You can set your air conditioner to maintain the house temperature when you're home and save energy while you're away. You can open your blinds during the day and shut them at night. You can feed your pets on a schedule and with pre-determined amounts of food. You can open your garage door with voice commands. You can set your coffee maker to have a fresh pot ready as soon as you wake up. You can create an emergency party button that goes from one to funky in seconds. You can automate your lights to turn on and off on a schedule, remotely, or when certain conditions are triggered. The Echo $179.99 from Amazon is a Bluetooth speaker powered by Alexa, Amazon's handy voice assistant. Alexa works with a number of smart home devices directly, as well as with If This Then That (IFTTT) to control plenty of other settings via "recipes" which you can create yourself. Within a dialogue system from the combination of speech and other ways of interaction we can achieve a dialogue system for mobile phones. This can be established with the help of many different dialogue strategies. We come closer to the machine! We now have a completely user-friendly human-machine interaction. The most important interaction is this spoken dialogue communication with machines. This is a big step for humanity. The speech is captured by a microphone. The machine can detect the coordinates of the user, inside the house. You have the ability to control everything. Let me ask you a question. Have you ever imagine yourself as a supervisor of anything, inside your home? You can connect the devices and appliances in your home so they can communicate with each other and with you. If we extend this innovative hypothesis and establish the same technological equipment and ideas, outside the home, we will be able to have the ability of controlling larger areas, like a neighborhood or a region. This is, absolutely, a thing of major importance, because this is the way of the future.